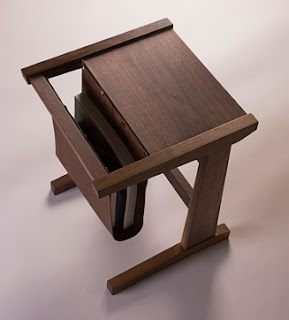 I love this "sling table" by Infusion Furniture, and apparently the Jamaica Plain design company is offering 50% off select items. There are no prices on the Web site, so contact Infusion Furniture for more details. 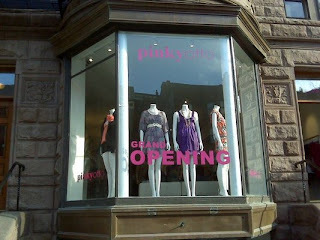 My favorite Newbury Street boutique, Pinkyotto, is still in the midst of it's buy 2 get 1 free sale, including a huge selection of items that are 30 or 50% off. And through tomorrow, you can get an additional $25 off when you spend $200 or more with a special coupon. I've already done my Pinkyotto sale shopping, so email me and I'll forward the coupon to you. 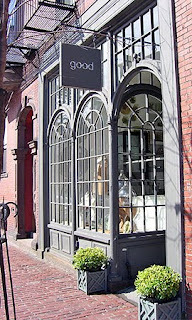 Beacon Hill shop Good is running their winter sale through tomorrow and is offering up to 50% off throughout the shop. Check out their unique collection of housewares, furniture and accessories at 88 Charles Street. Together Boston's Get Together! is part of the New England Electronic Music Festival, but tomorrow's event at the Villa Victoria Center for the Arts in the South End includes includes a sale by fashion vendors and a show by three local stylists at 4:00 pm. Check out New Brahmin's video of the Void Above designers discussing the project.